How is it possible that it's the middle of August? Wasn't it just the 4th of July? No, seriously. I'm just going to sit here in a state of denial while you all go about the rest of August. 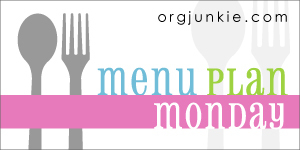 In the meantime, here's what's on the menu this week. Monday - Poblano corn quesadillas. We are keeping it super simple tonight because our afternoon is busy. Harper has an orthodontist appointment, and I'll be attending a wake. When I return home, the last thing I want to do is go crazy with dinner. 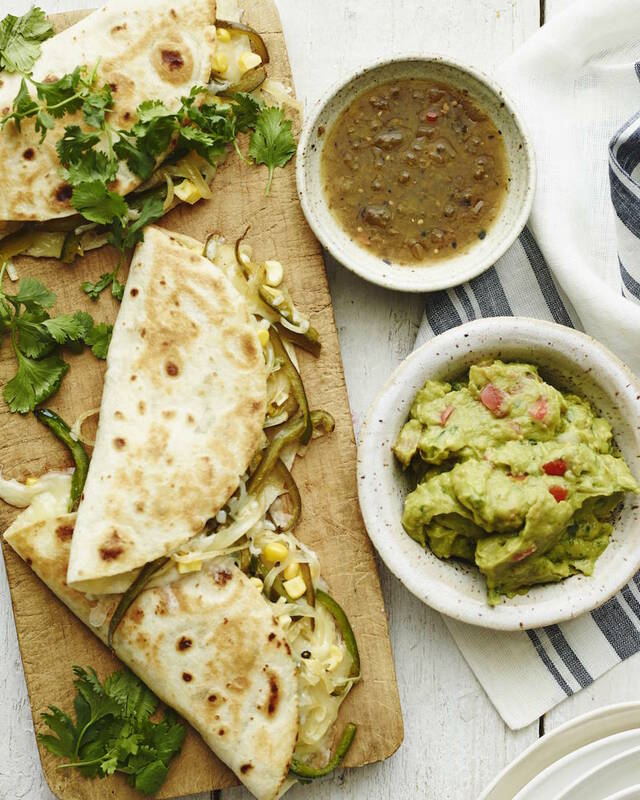 So, these quesadillas it is! Tuesday - Arugula pesto pasta with garlic shrimp. 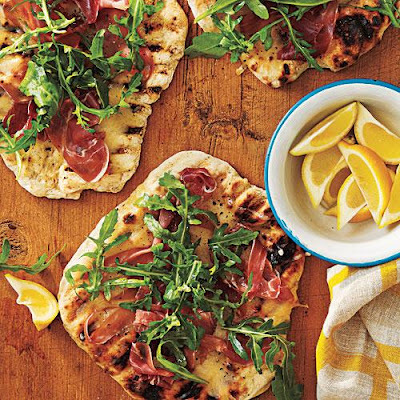 This recipe looks just perfect for a hot summer night. 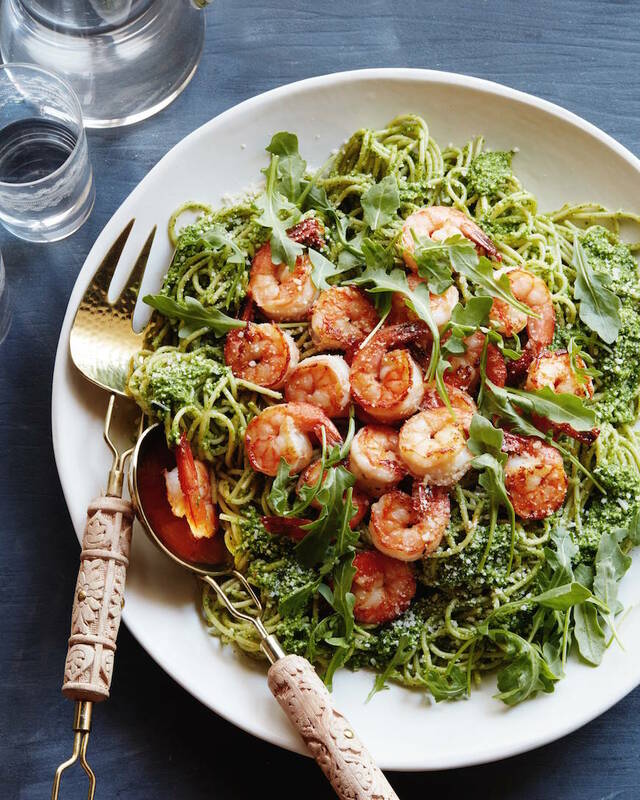 We love pesto pasta, arugula, and shrimp. Put them all together, and you've got a winner for dinner! 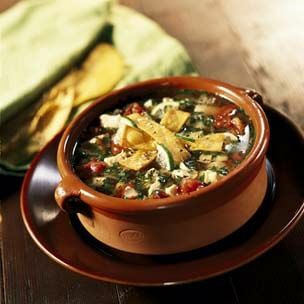 Wednesday - Chicken tortilla soup. While soup may not seem like the best option during the dog days of summer, this recipe is surprisingly refreshing. I love to top it with extra cilantro and sliced avocado. To make it even easier, I always use a store-bought rotisserie chicken. Less clean up and less cooking! Thursday - Grilled pizzas. Use this recipe as a starting point and top the pizzas however you wish. If you've never had grilled pizza, what are you waiting for? They are so much more flavorful than oven baked ones. We use a charcoal grill for even more flavor, but a gas grill will certainly do the trick! Saturday - We are leaving for a week in Rehoboth Beach. We will most likely grab pizza from here for dinner. Sunday - Vacation. Dinner plans TBD.